Meet Bullet, the “friendly” elephant found in the Udawalawe National Park, photographed by Avijja Fonseka, a biodiversity and conservation biologist by profession who has taken up wildlife photography as a hobby. Avijja said: “Elephants are smart creatures. They know when the people approach them to feed them and will therefore appear to be friendly. The people too go towards them to feed them because of the electric fence that stands between them. “When I stopped to photograph Bullet, he realised that I was not going to feed him and he went back into the jungle. “The people really need to be mindful and make a conscious effort not to feed them. Even if they see someone else do it, they must walk up to them and stop them from feeding. It is illegal to feed wild animals in Sri Lanka, and is actually something that should be common sense. 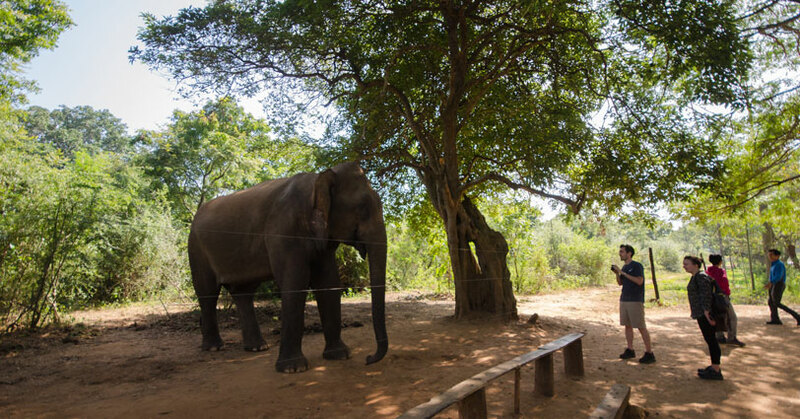 “Initially, there was only one elephant named Rambo, but now there are six to seven within the Udawalawe fence alone. 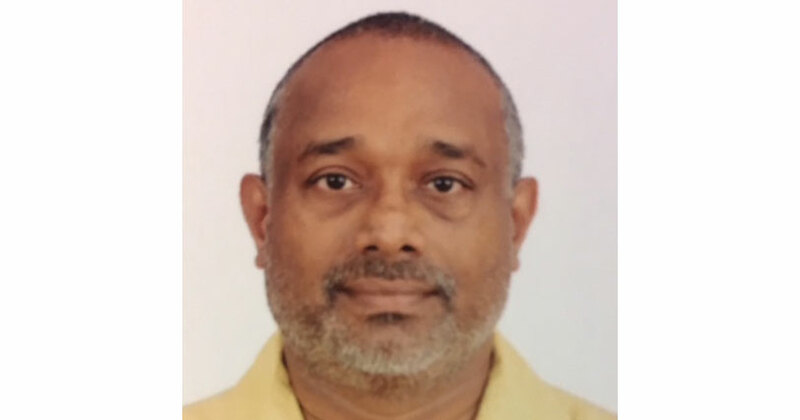 Jehan Canagaretna is a committee member of the Wildlife and Nature Protection Society of Sri Lanka and he contributed his thoughts regarding the matter. “According to the Fauna and Flora Protection Ordinance, feeding wild animals is illegal in Sri Lanka. It is under the purview of the Department of Wildlife and is monitored by them. “Although no one has been arrested under these charges, it is against the law to do so. You can be charged with a hefty fine. “It is in fact very dangerous to feed these animals as they can turn on you if you probe them. People won’t walk up to fences if there was a leopard, so why must they for an elephant? How can we stop this habit? “We can stop this by creating public awareness. We must propagate the message through media and have many programmes educating the public. Going to schools and talking to children may also be a good way to start. “Putting up signage is also important. In fact, you can see many signs along the Udawalawe border asking the public not to feed wild animals. But people ignore it,” noted Canagaretna. The World Wildlife Foundation has now declared the Sri Lankan elephant endangered. “The Sri Lankan elephant population has fallen almost 65% since the turn of the 19th century. Today, the Sri Lanka elephant is protected under the Sri Lankan law and killing one carries the death penalty.” The official website records their population to be between 2,500 and 4,000. The largest of the Asian elephant genus, Elephas maximus maximus is found only in Sri Lanka and it is a distinct subspecies of the Asian elephant. Inhabiting tropical forests of the island, mainly lowland dry woodlands, scrubs, etc. 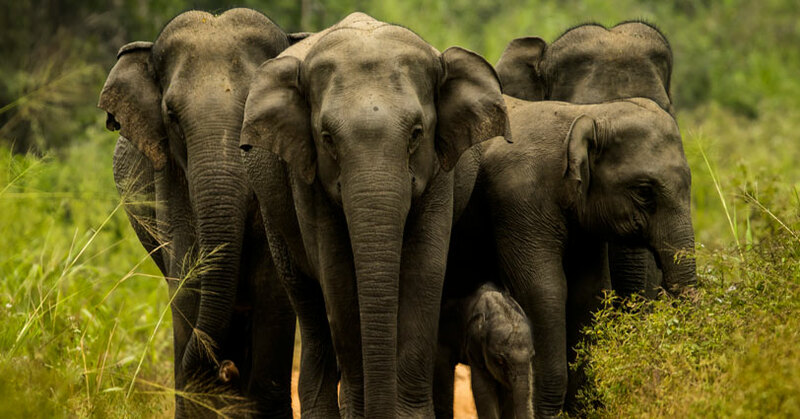 and frequenting nearby grasslands and cropped lands, the Sri Lankan elephants, whose lifespan lies between 55 and 70 years, travel in cohesive herds that consist of about 8-12 individuals, especially female adults and their offspring, headed by the matriarch. However, herd sizes can vary. These herbivorous animals that wander miles a day mostly in search of food and water, feed on a wide variety of vegetation including grasses, leaves, climbers, shoots, barks, roots, fruits, nuts, seeds, and a large number of plant species which have been identified to be fed on by elephants in Sri Lanka (lanka.com). Not forgetting to mention that elephants are also a huge tourist attraction. There are also many volunteer programmes where foreigners spend their time working with elephants. We must make a bigger effort to conserve these gentle giants in their natural habitats in order to preserve their natural way of life. The more we tamper with it, the more we aggravate their endangered status. We spoke Nidaal Suby and Riaz Cader, who own a travel company but are also wildlife enthusiasts, about the impact of endangering elephants on the tourism industry. “We run a travel company called Natural World Explorer that focuses on wildlife and nature-based tours to Sri Lanka and also offers bespoke safaris to India and Africa for Sri Lankan nationals, in addition to handling the ground logistics for foreign travel documentary teams. Over the past year, we’ve worked with teams from Animal Planet, National Geographic, BBC, and ABC network in US. “The practice of giving handouts to elephants habituated in the presence of people, in close vicinity of the electric fences, will generally have dire consequences for the animals. “Most fence elephants are bulls, in the prime of their life, who should be actively feeding and walking around the jungle, competing with other male elephants to mate with the females in the herd. But instead, they spend most of their days by the fence, waiting to be fed. “There is also an element of danger to the people who choose to get too close. Rambo, one of the original pioneers at Udawalawe who stood by the fence, has actually killed two people who got inside the fence and got too close. 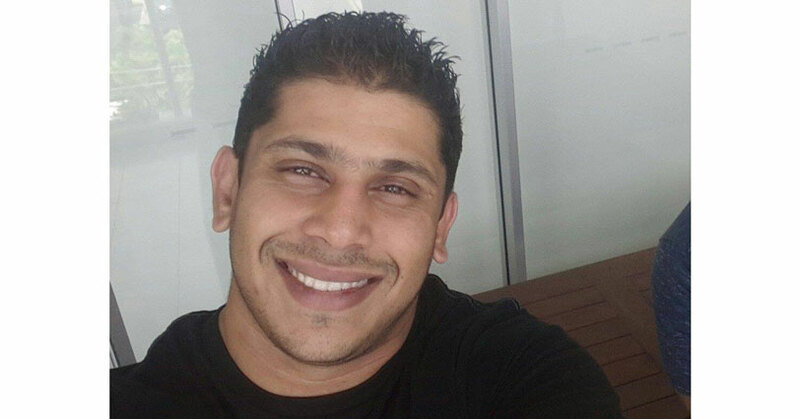 “From a tourism point of view, this practice should be discouraged and we should be in a position to showcase Sri Lanka as a destination for responsible tourism. However, sadly, we seem to be going in the opposite direction. “People, especially on Facebook and Instagram photos are posted by a number of travel companies of tourists posing up close to such habituated wild elephants, seeking cheap publicity. “We should encourage the authorities to perhaps erect new fences and even patrol them to discourage the practice of people feeding the elephants. This was done quite successfully in Udawalawe for a few years until Bullet the tusker and a few of his friends managed again to unearth a few posts. 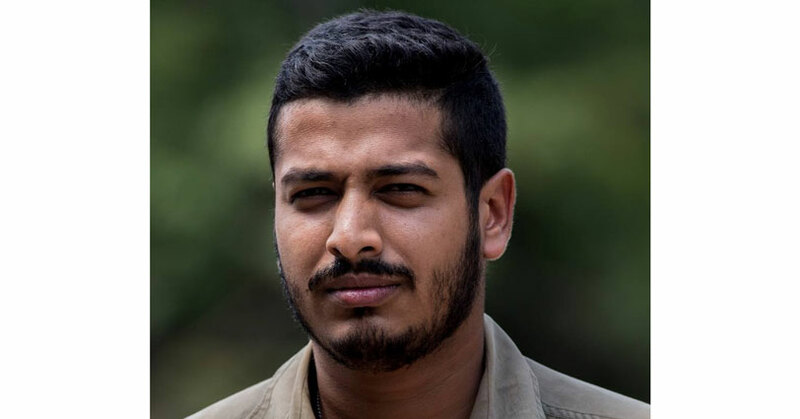 Dr. Sumith Pilapitiya, an environmental scientist by profession, works tirelessly towards protecting wildlife in Sri Lanka. This is what he had to say about feeding elephants at park borders. “Elephants are wild animals by nature and we must never try to feed them. This will immediately create problems for the animal as he will get used to eating fruits and vegetables consumed by humans. Feeding wild animals is equivalent to signing the death certificate of the animal. “Elephants usually feed on grass, leaves, branches, and scrubs. So, when they get used to the sweeter fruits and vegetables, the moment they stop getting them, they will go in search of them. This is when they break the fences and approach villages, and eventually get shot at. 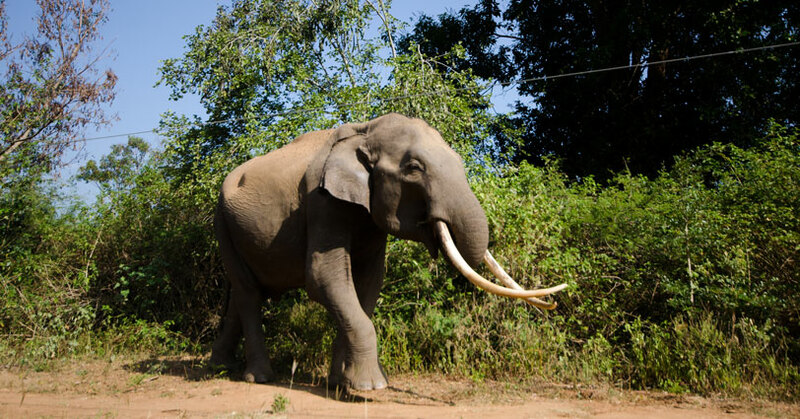 “The Yala National Park’s tusker Gemunu’s death was not the animal’s fault. I am completely opposed to this practice and all humans must consciously make an effort to avoid feeding wild animals. “This is also where the human-elephant conflict (HEC) begins. If we consciously make an effort to end this practice, the negative impact it has on our wildlife will eventually decrease. 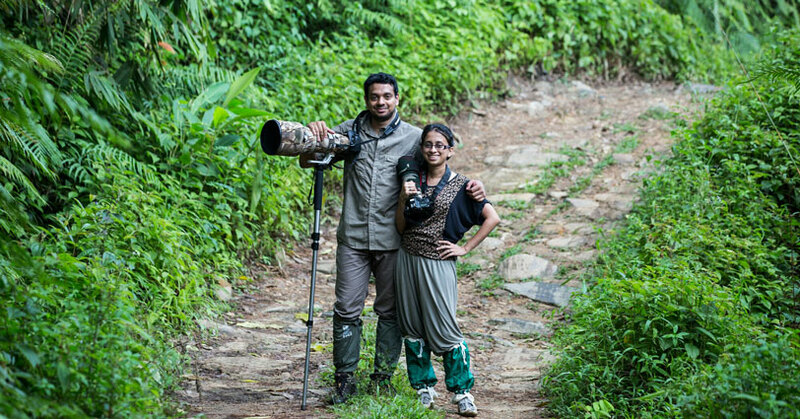 Finally, we spoke to wildlife enthusiast and photographer Suraj Perera, who is an accountant by profession, about his thoughts on the matter and how a photographer can contribute towards creating awareness. “I am totally against such actions and do not encourage it. Enslavement is not always about chains around ankles; by feeding the elephants near fences, we enslave them. “This is done without tying them in chains, but by creating addiction that overpowers their natural inhibitions and makes them resort to begging for a meal. Then, people make money by selling fruits/vegetables to tourists, both local and foreign, to feed their addiction. “Nature intends for elephants not to be confined to a roadside fence and beg for scraps from humans. We need to acknowledge this and let them roam free and find their own existence. 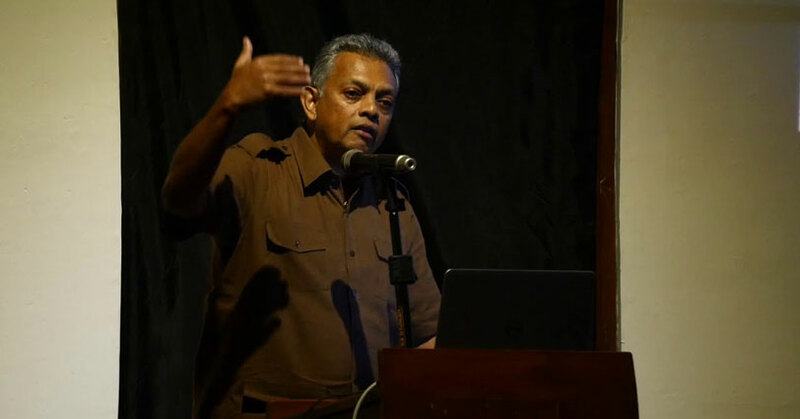 India Design Forum (IDF) held their first event in Sri Lanka on 18 October, 2018. India Design Forum was initiated as a comprehensive design conference in 2012 to cater to all disciplines of design.